The Evo Curtain Heading simplifies modern window treatments, presenting clean lines and an industry-best stack back. It is a unique heading style that suspends the drapes directly underneath the track or rod to achieve perfect balance and smooth operation. It’s an easy choice for customers and curtain makers alike. It is strongly recommended that curtain makers use 2.5 times fullness for an Evo Heading. This will allow for pleats, creepage, and the returns ends. For simplicity’s sake, bring the finished width of the curtains to the nearest 10cm. 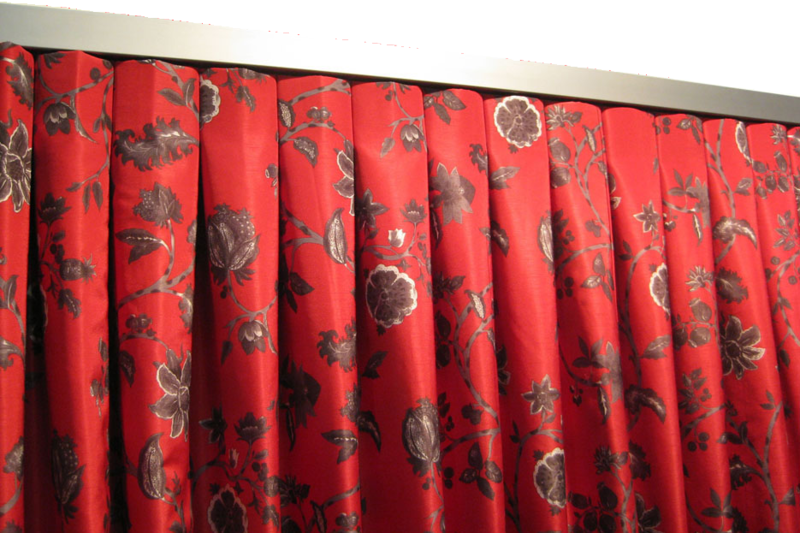 For example, for a track with a width of 475cm, make the finished width of the curtain 480cm (plus return ends). Evo Curtains should return to the wall at each end of the track or rod. For curtains on an intermediate bracket, i.e. single projection, return ends should measure 16cm from the last pleat. For curtains on a larger double bracket, return ends should measure 21cm. Allow exactly 12cm for each reverse pleat, and maintain 10cm between each pleat. Use the Evo Heading Punch to locate Evo Button Sliders on each reverse pleat approximately 1cm in from the sewn line. Please contact us if you have any further enquiries regarding the Evo Curtain Heading.